By coming to Karnes Legal Services for assistance in adding a member to your family, you can expect us to focus our attention on you during this happy time. Our experienced lawyers will stand beside you when navigating all of the formal and informal processes associated with adoption. 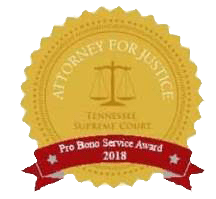 Our attorneys are committed to personal attention, because we know that it is the best way to ensure our client’s goals are fully met. Being there when you need us is extremely important, because as overwhelmingly positive as adoption is, it can also be very stressful. You can be confident knowing that you have an experienced representative on your side from the start of your case to the finish. An adoption can be complicated when a child’s birth parent is against the adoption. In order to move forward, the birth parent needs to be declared unfit. The termination of parental rights needs to take place in order for those rights to be transferred to the adoptive parent and no court will take consideration of such a matter lightly. Even uncontested adoption can be complex. Adoption is carried out in the Circuit Courts of the Commonwealth of Virginia. The adoption process is guided by the Code of Virginia. Strict compliance with the Code is required. Additional complications can arise if a child from another state is being adopted in Virginia, which requires the application of the Interstate Compact on the Placement of Children. No matter what challenges your case involves, you can be confident that our attorneys can help you achieve your goal.